It's a good thing he can't read my mind. Richard loved skiing and I loved him. So I tried it, shuffling along a bunny slope one very long afternoon in the company of a bored instructor while my guy hurled himself off the picturesque mountains that surrounded us. In turn, Richard came with me to a Georgia O’Keefe exhibit at the Metropolitan Museum, though he hurled through that as well, zooming from painting to painting as though a fire alarm were sounding overhead. And yet, we managed to find some common ground—we watched a lot of movies together—and we influenced each other in good ways. With Richard's encouragement I got back on a bike for the first time since my teenage years, and with mine, he became a voracious reader. In the end, our differences, along with a host of much larger problems, sent us our separate ways. Looking back, I don't regret any of those hours spent trying on each other's interests and passions. For one thing, it turned out to be excellent practice for parenthood. Like many moms, I spent countless hours of my son's second and third year hunched before a snaking train track, acting out various conversations and conflicts between Thomas the Tank Engine and his friends, Percy, Henry, Gordon, Annie, and Clarabel. A few years later I found myself sliding into a seat in a crowded movie theater to watch a feature-length version of what was essentially an infomercial for Yu-Gi-Oh cards. Ah, love. Sometimes it means putting aside something you'd love to do on a given afternoon to sit through something so dull you could weep. It flowed both ways, of course. I made Ethan wade through long lunches with my women friends and follow after me while I shopped for shoes. The difference was, when he got bored enough he actually would weep, often prompting me to cut the torture session short. From the beginning, though, we had our shared interests. 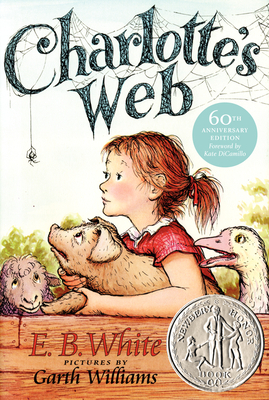 For one, we loved reading together. We started with piles of board books, reaching for our bedtime favorites so often Ethan could recite them back to me long before he learned to recognize the letters and words on those hard little pages. Even after he could read on his own, he rarely chose to do so in that hour before lights out. He loved to listen, covers pulled up over his legs and mine, sippy cup, then water glass, perfectly within reach. We moved from Dr. Seuss and Bill Martin Jr. to William Steig and Patricia Polacco. 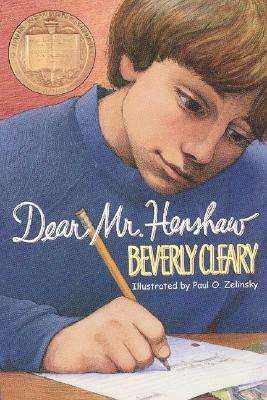 From Dear Mr. Henshaw to Charlotte's Web. 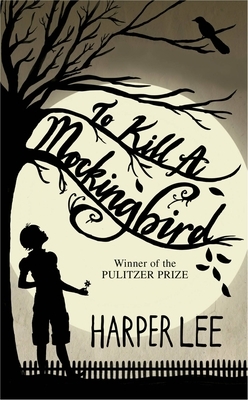 Harry Potter to To Kill a Mockingbird. It wasn't just the reading that thrilled me but the conversations that grew out of that shared time. Through our reading we had a cast of sages, villains, and soulful companions to refer to. Fern Arable and Atticus Finch entered our thoughts and discussions as though they were relatives of ours. The summer before Ethan started high school, we spent ten days in Italy. I packed two books for Ethan: the dry translation of Greek and Roman myths that his new school had assigned and a young adult novel for us to share. Each night, pleasantly spent from hours of sightseeing and museum hopping, and full from yet another amazing meal, Ethan would push aside the mythology book and ask me to read to him from The Absolutely True Diary of a Part-time Indian. "You really should get your school reading done first," I'd point out. But in the end I always acquiesced, as Ethan knew I would. 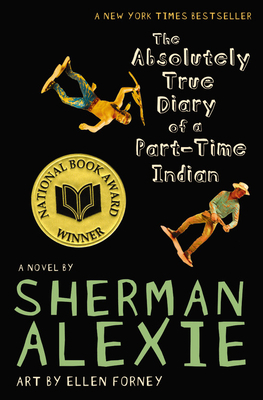 I was as hooked as he was by Sherman Alexie's funny, heartbreaking novel. More than that, I knew it would likely be the last book we'd read together in this way. Sure enough, high school started and what had been my favorite daily ritual came to an end. The closest Ethan and I ever come to reading together these days is reading our separate books in the same room. Meanwhile, of course, we've each pursued our separate interests. Earlier this year, Ethan's senior year, he began following college and professional football. Our dinner conversations came to be about such things as the Big Ten vs. the AAC and NFL draft picks. If your mind began to glaze over at this last sentence, you’ll understand how I often felt. I did my best to follow what he was saying and ask reasonably intelligent questions but, to paraphrase Christine Lavin, it's good he couldn't read my wandering mind. Then one evening, the two of us browsed through the various lists of streamable shows on Netflix and decided to give the television show Friday Night Lights a try. 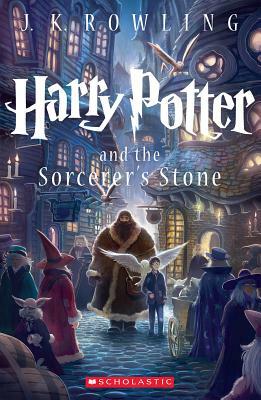 For my part, I chose it as a way to spend an hour in my son's world. It is, after all, about high school football. I sat back, proud of my magnanimity and with a plan to reward myself, after Ethan turned in for the night, with a documentary a friend had recommended. As it turned out Ethan and I both found Friday Night Lights completely engaging and, ultimately, addictive. "One more?" Ethan asked when the pilot ended. I grinned at him. "I was hoping you'd ask." So began our new, nightly ritual. "Get your homework done now so we have time for an episode,” I'd say, not needing to elaborate further. Friday Night Lights was now our show, the characters—flawed, evolving, and continuously surprising us—as real in our minds as good family friends. It may be literary sacrilege to say this, but Coach Eric Taylor with his quiet wisdom and inspiring speeches became our Atticus Finch. And as we talked about his kids, on the team and off, I learned that Ethan had more compassion and a greater faith in people than I knew. I surprised myself too, growing to care so much about each individual member of the Dillon Panthers and the East Dillon Lions, my heart actually pounded at the start of each football game. As can happen when you binge watch, our time with Friday Night Lights ended too quickly. For several evenings afterward we wandered around our apartment feeling adrift. But once the initial sense of loss faded, I felt encouraged. In the four years since Ethan and I closed our last shared novel, we've had great talks and done interesting things together, but there was a particular kind of being together, of common ground, I wasn't sure we'd find a second time. But, somehow, I knew we would again. Sure enough, the other day, I climbed into Ethan's new car—I know. Another long story. Another column, perhaps—and heard Bob Marley pouring through his speakers. "Hey, you're playing one of my CDs" I said, delighted. "No, I'm not," Ethan answered, pulling out of the parking space. "I bought this." "Oh, too bad. We already own it," I told him. Just then, One Love came on and we both sang along. Oh I love the ending! I love it too - so well done, and the Lavin song really works. It's a joy to encourage the interests in loved ones, and of course to share them, especially with a child. Hope I get to keep doing that with my kids. I agree with Kristina - great ending!! I think this is one of your best essays. Thanks everyone for reading and for your thoughtful, supportive comments. Caren, I'm sure you and your kids will share many things and stretch each other in immeasurable ways.